JobTabs Job Search & Resume 2012 – Released! JobTabs Job Search & Resume 2012 has been released. While there have been improvements across the board, we really wanted to focus on application speed and handling objects/graphics in the word processor. We reviewed the process and simply decided that we were saving too much. We eliminated much of the superfluous elements of the web pages and focused on what mattered. We also moved the process to a separate window so that it can be cancelled at will. The update messages provided by the window are much more detailed to give you the assurance that things are happening. The crux of the word processing upgrades were necessary in order for us to implement a new product designed to complement JobTabs. More on that later. Suffice it to say that the JobTabs word processor has always worked beautifully, however we added some more functionality that we are going to need as we make JobTabs even more powerful. While you could always add text frames to a cover letter or a resume in JobTabs, they had to be inline with the text. Now then can float above or behind and let the background image text show through entirely or partially. New support for background images allows you to insert a watermark, a CONFIDENTIAL/DRAFT disclaimer or a picture. 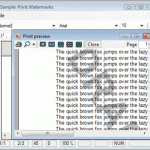 The JobTabs word processor supports OLE handling, images and many other objects. We made it easier to size and move them on the fly as well as maintain the aspect ratio as needed. 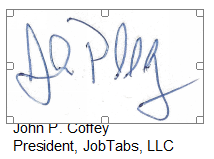 This was especially important for job seekers who would include a signature graphic with their cover letter. The signature didn’t look like the real thing. Prior to the upgrades, a signature couldn’t be placed directly above the typed text without covering it up. After the upgrades, a signature can be placed above the typed text as it would normally be if it has been actually signed by the person. John Coffey is the President of JobTabs, LLC. Through JobTabs Job Search & Resume, thousands of job seekers have taken control of their destiny in finding new and fulfilling careers. JobTabs Job Search & Resume motivates job seekers by making the job search easier by a huge order of magnitude. John Coffey can be reached via his website at JobTabs Job Search & Resume, by email via jpcoffey at jobtabs.com, and by phone at 404-255-0248. There is a steady undercurrent in the job search space about age discrimination. I believe it. However, what I don’t believe is that it cannot be overcome. People, it is all about packaging. Think about it for a moment. Let’s say someone is 50 years old and has been in the workforce in varying capacities for roughly 30 years. This person has 30 years from which to draw accomplishments which are relevant to any job posting he applies to. Take someone who has only been in the workforce for 5 years. That person only has 5 years from which they can reference relevant accomplishments when applying for a job. This gives experienced job seekers a huge advantage over less experienced hires. Setting goals and a course of action for projects. Working within a budget of varying sizes. Demonstrating some knowledge of government law such as safety, employment, environmental, etc. Experienced job seekers, if they work hard to chronicle their career to date, would have a much easier time getting under the bar to fulfil what the employer is looking for. Then there are a host of subjective considerations that the senior job candidate is far more likely qualified. Conflict resolution among individuals, teams or departments. Identifying the chain of command and working within it to get buy in. 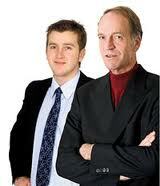 Generally more likely to be looked to as a leader by subordinates than by someone closer to their own age. A cornerstone of JobTabs Job Search & Resume success has been its ability to easily manage a large number of resumes for a wide number of job opportunities. As the experienced job seeker applies to more and more positions, he gradually accumulates more and more supremely tailored resumes for different job descriptions. Here is the lynch pin . . . . as the experienced job seeker creates more resumes in JobTabs, it becomes easier and easier to create even more refined dead-on resumes for each job they apply to. The breadth and depth of their experience is pared down to only what is absolutely relevant to the immediate job posting – as it should be! Creating a copy of a resume that meets 80% of the requirements and bringing it over 95% becomes incredibly easy! While the junior candiate has his own advantages, he does not have the experience pool that a 50 something job seeker has. This is a very touchy subject among many. If you have any enlightening comments to share with me I would readily welcome them. Otherwise, age discrimination is over! JobTabs Job Search & Resume 2013 – Released!